Apply for Financing What Does Liability Insurance Cover? Know your car maintenance schedule. – Most cars come with owner manuals that detail the recommended maintenance schedule for different parts and systems. Keep track of yours. Check your fluids and filters regularly. – Get your oil changed every 3 months/3,000 miles. Consider using special oil formulas for high mileage vehicles, and have your other fluids and filters checked when you bring your car in. Get your brakes checked. – Avoid expensive brake repairs by getting your pads replaced on time so you don’t ruin your rotors. Don’t ignore maintenance lights. – If your check engine, oil change, or other warning light comes on, bring the car in for service right away. 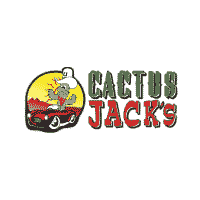 At Cactus Jack’s, we have plenty of high-quality used cars for sale near Avondale. All you have to do is put down $500 and take advantage of our unique buy here pay here program and drive home with a new car today!